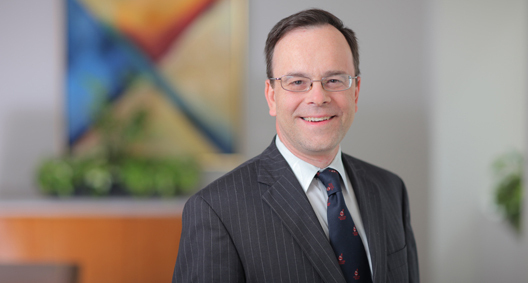 Kevin Robertson focuses his practice on wealth planning for high-net-worth families, including the preparation and administration of trusts and estates, preparation of wills and powers of attorney, and business succession planning. He aims to accomplish his clients' objectives while minimizing estate, gift and income tax consequences, and he negotiates with the IRS to resolve federal tax issues on behalf of individuals, estates and trusts. Kevin also helps his clients plan for distributions from retirement plans and individual retirement accounts as well as for charitable giving, including split-interest charitable trusts. Conducts succession planning for the control of family businesses with values in excess of $100 million, from one generation to the next. Handles gift and estate tax returns and audit negotiations for gifts and estates ranging in value from thousands of dollars to more than $1 billion. Works with several high-net-worth family offices, providing advice regarding family trust arrangements, private trust companies and a wide range of tax and estate planning matters. Is a member of a team serving as the primary legal counsel to multiple interrelated family trusts, providing continual advice associated with trust administration and fiduciary compliance matters.